The 18770 Building sold to 18770 Miami, LLC for $18.770M !!! ComReal Miami-Doral, LLC is pleased to announce the sale of the property at 18770 NE 6th Avenue in Miami. The transaction closed on Friday, November 9th for $18,770,000 or about $80 per sq. ft. The property consisted of a 234,739 sq. 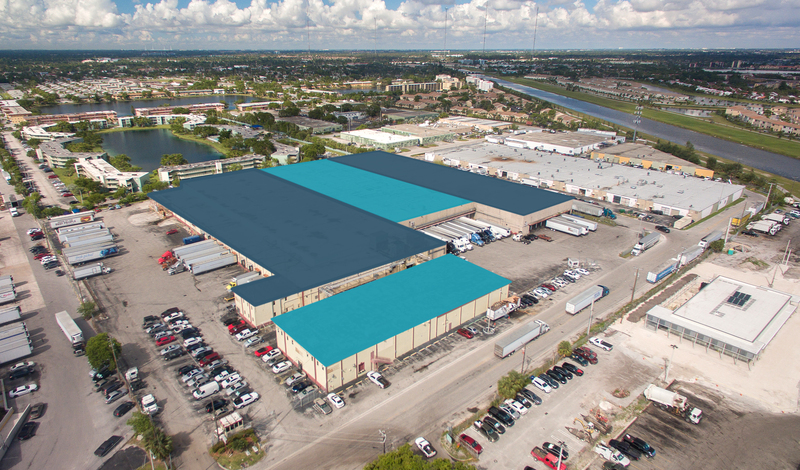 ft. refrigerated distribution warehouse in Miami on 9.46 acres. ComReal represented the seller, Southeast Frozen Foods Company, L.P. who leased back about one-third of the building. The buyer is 18770 Miami, LLC which is associated with Premium Capital and Madison Properties based in New York. “There is a large demand for refrigerated warehouses and a low supply”. states Ed Redlich, SIOR, CCIM with ComReal. “This is also a great location for the distribution of perishables since it happens to be equidistant from both PortMiami and Port Everglades by fifteen miles.” Redlich’s team is very active in the sales and leasing of cooler and freezer warehouses in Miami. He is also a member of the PortMiami Perishables Committee. For more information on this transaction as well as other Miami cold storage buildings available, please contact Ed Redlich, SIOR, CCIM. Fun fact! During the negotiations, the seller and buyers compromised on the price of $18,770,000 because it matched the 18770 building number.